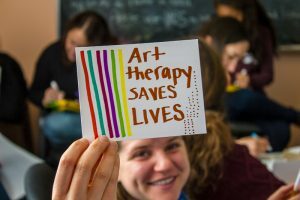 Southwestern College offers a Master’s Degree in Art Therapy/Counseling, allowing our graduates to be licensed both as Art Therapists and Counselors in many states (check yours!) This is a VERY valuable option, as Art Therapists are licensed as such in only about 5 or so states. We believe in helping our graduates all through their careers, through our Conscious Entrepreneurship Initiative, by posting jobs here, and by offering professional development tips. Please re-post and share this list with friends, colleagues, and on your social media profiles…Best of luck to you in your search for bliss and a great career!